Looking for privacy? You've found it! 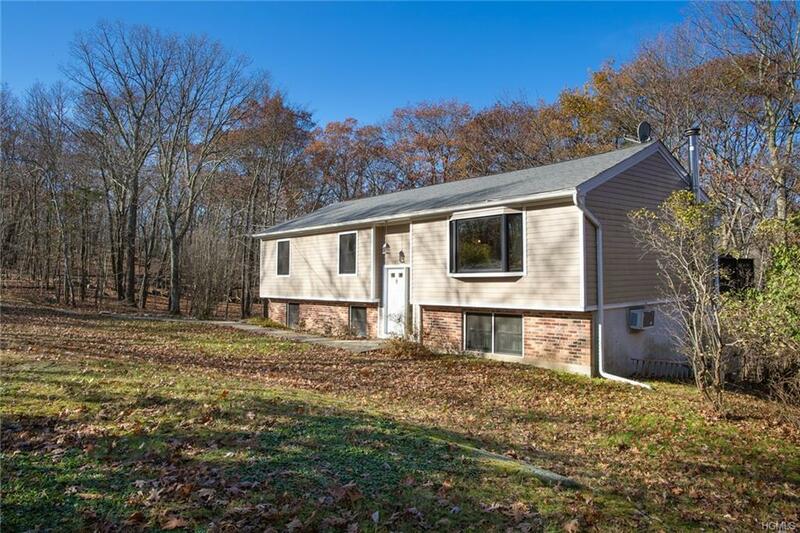 This home is in a great location...head five miles south to the charming Village of Cold Spring or five miles north to Fishkill and I84. A bright and sunny home situated on over an acre but feels like more. Many updates have been done over the years....country kitchen with large island, hardiboard siding, central air, windows, roof, bathroom. Main floor features kitchen, living room, master bedroom, master bath, two additional bedrooms and second full bath. 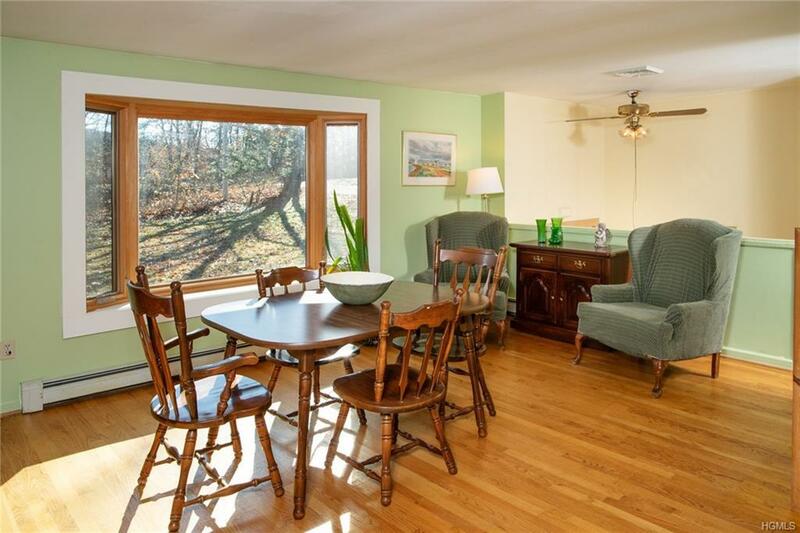 Lower level features cozy family room with wood stove, laundry and third full bath. 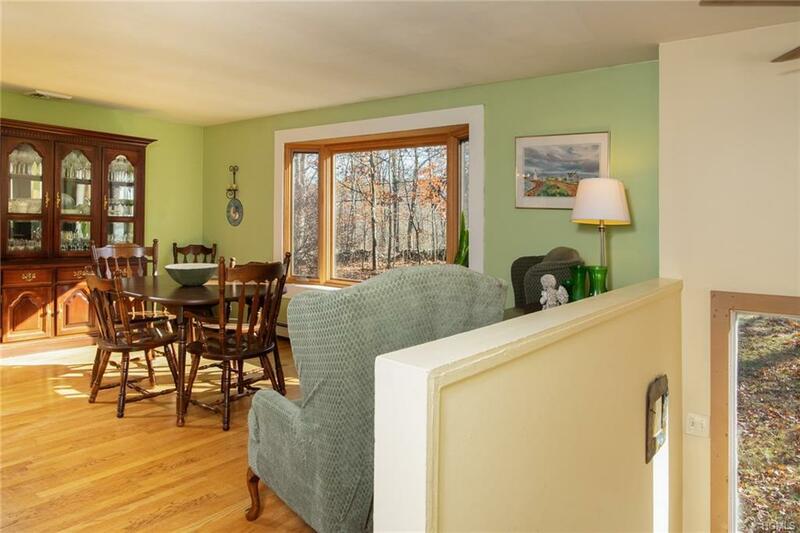 Spacious deck overlooks private, wooded backyard. One car garage. 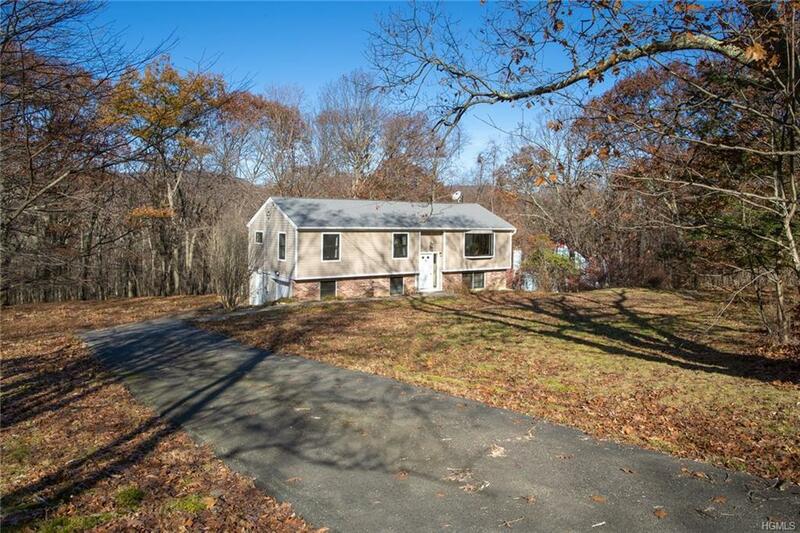 Located across from Fahnestock State Park. If you don't want to be surrounded by close neighbors, this is the one for you. Although you will feel you are away from it all, conveniences such as groceries, gas, movies, Starbucks, etc. are only a few minutes away. Closest Metro North is in Cold Spring. Come and take a look. Listing courtesy of Dianne B Minogue of Houlihan Lawrence Inc..